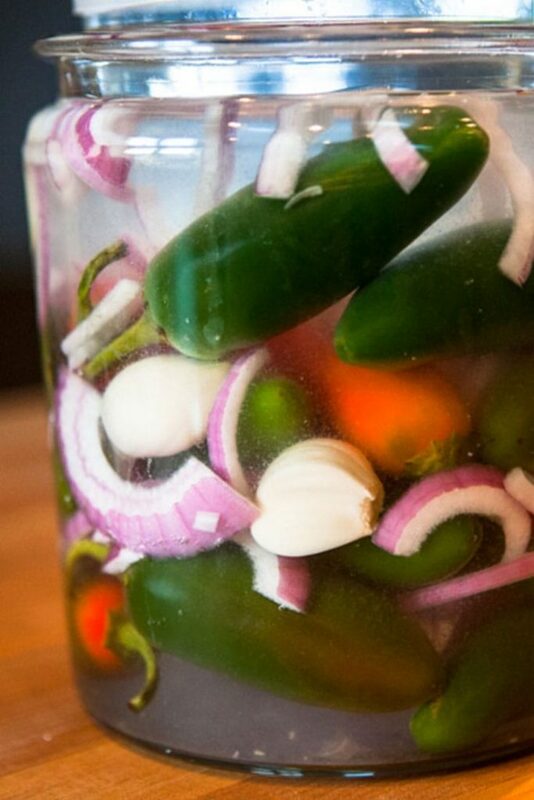 This fermented jalapeño recipe is very easy to make, and just goes to show you that the basic principals of fermentation can apply to all sorts of foods. To make this, you simply make a brine, put the ingredients in and let it stew. These can last months or even years in your refrigerator so it is a great technique for storing an overabundance of veggies and keeping them until they are ready to consume. These Fermented Jalapeños absorb a little richer flavor too from the garlic and onion. 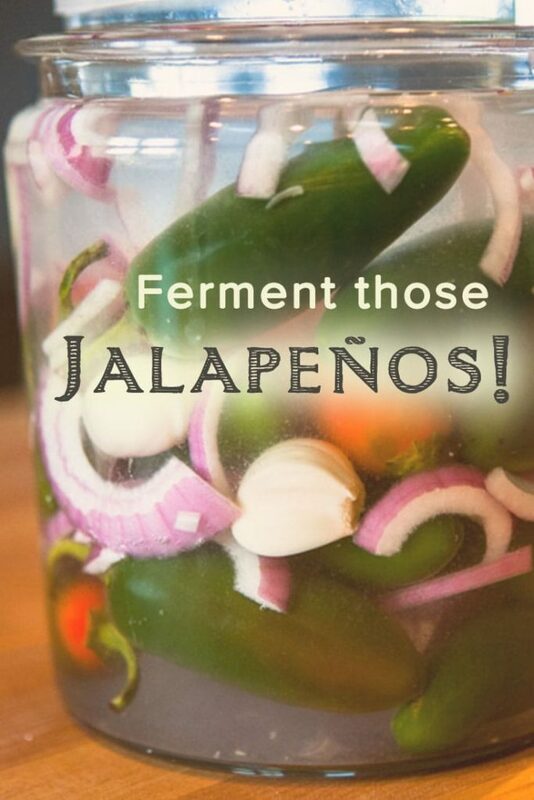 Straightforward recipe for the fermentation of jalapeño peppers. Great way to preserve Jalapeños and add them to other recipes throughout the year. 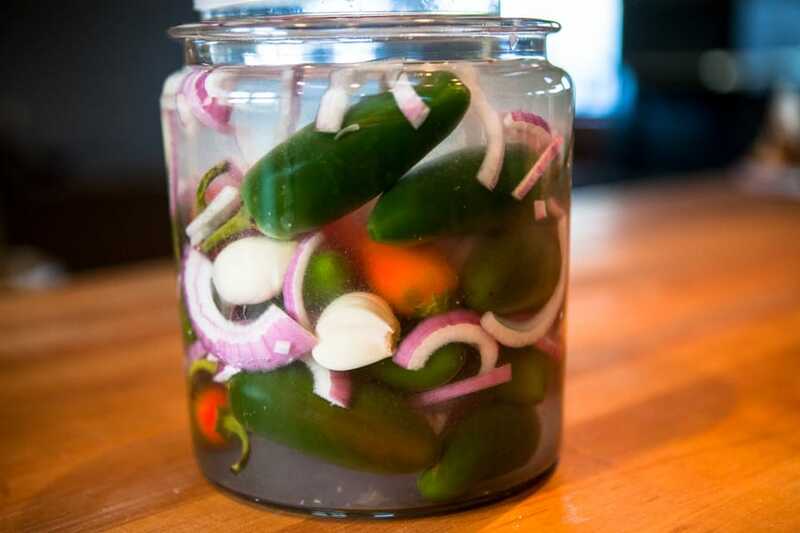 Place in fermentation vessel - Place the jalapeños, garlic cloves and sliced onion in a fermenting vessel ( a 1Quart canning jar would work fine or a large mouthed glass jar or crock is fine too). Pour brine over to fully cover and then some. If you do this in a mason jar, fill to the top and cap with an airlock so gasses can escape. I can recommend the Easy Fermenter Wide Mouth Lid Kit or these Pickle Pipes. If yiou ferment in another vessel, place a plate or a weight on the ingredient if necessary to keep them submerged in the brine. Wait impatiently - Let sit on your counter for several weeks. Jar it up and place in a refrigerator - Move to refrigerator for longer term storage. 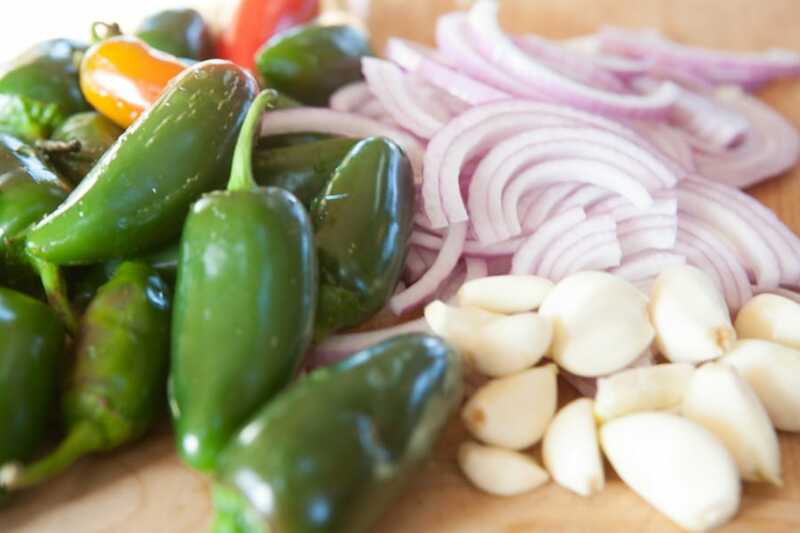 Jalapeños are purported to have various beneficial health properties including anti-inflamatory, cancer fighting/prevention, cardiovascular benefits, metabolism boost and migraine relief. A wonderful side benefit of this fermentation is that you end up with some nice and spicy garlic and onions to use as condiments in other dishes. These jalapeños will last indefinitely in the refrigerator. I like to add some of this to freshly made salsa, curtido, and hummus. My friend Molly eats these jalapeños straight from the jar. She’s clearly much more brave than I. The fermented jalapenos look great. We bought a beautiful fermentation crock and would like to know if each time we use it that it needs to be full to the top. It’s a 5 litre one and didn’t think about that. It doesn’t need to be full to the top. The key to most ferments is keeping the liquid/brine above the fermenting goodies. This keeps mold from forming on the veggies. Good luck! I’ve been using the Polish made fermentation crocks with a more trough around the top now for about 8 years. You need to keep the stock covered with brine, but also while fermentation, you need to keep liquid in the mote around the domed cover. This works as a seal. The gasses from fermentation can escape, and they also cause a positive pressure inside the vessel so air cannot get in and cause spoilage. I sliced the jalapenos, crock’d them, the onions and carrots with a few fresh herbs. After about 4 months they are mild and tasty. I give them a rinse and add more fresh herbs and little vinegar to jar them. It works well with other veggies. Also a hint. I purchased plates that fit in my crocks. Placed under the weight stones they keep all but the smallest bits under the brine..
Have been using jalapeños and carrots for 20 or more years.I have a very old Japanese fermentation bowl I use.Instead of water and salt I cover my Jalapeños and carrots with naturally brewed soy sauce.I let it sit until the peppers and carrots leave a nice taste to the brew.I use this sauce for all my asian dishes. Well Ted the recipes that you show sound great, But I would like to print some of them out as I am new to the fermenting thing. I do not see a printer symbol anywhere on the page with the recipes. How do I print one out with out picking up all of the other things on the page? Good idea Larry, I’ll work on adding that functionality to the site. thanks! I made these and they are delicious, thanks for sharing. I was wondering if I added some raw ACV to the jar would it kill the good bugs? I’ve never tried to add raw apple cider vinegar to a ferment as I find it isn’t necessary, but my hunch says that it wouldn’t cause any particular problems. 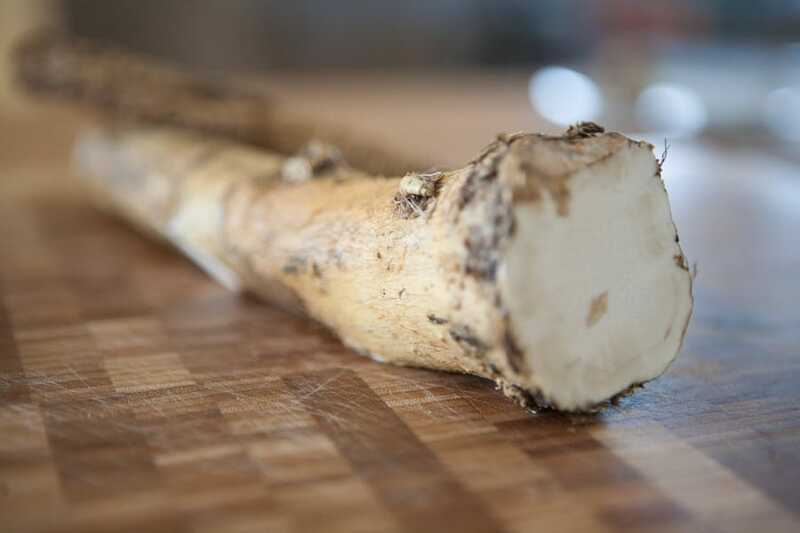 It may add bacteria that tries to compete for the same food sources with the bacteria which is active in the ferment so in that way, it may cause something to turn out differently. Like I said, I never tried it nor found the need, but if you do try it, let us know how it goes. Thanks. Gill, I love the idea of the jalapenos and carrots in soy sauce, already made some today. Is this to be fermented? Keep at room temp for a while? Or just put in the fridge and flavor the soy sauce? Hi, I have a question, if you don’t mind. Should my Jalapeño brine look pink? If you used red onions, some of the coloring may have leached into the brine. That’s all I can think of. Good luck. For those who do not have a fermentation press for their crock, an appropriately sized ziplock bag about half full of water works well as a press and a seal. Just make sure it is zipped tight and if you’re really worried about it leaking, fill it with brine. Is my ferment supposed to have a white foam on top? I wouldn’t expect a “foam” on top if you are fermenting jalapeños. 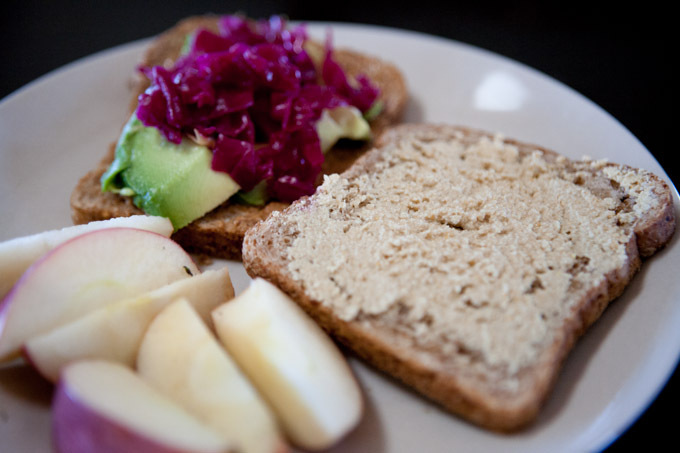 Foam occurs sometimes woth more active ferments, often due to using ingredients with a higher sugar content such as beets. Sometimes a white film may occur on the surface and that is usually kahm yeast which I personally don’t worry too much about. I clear it out using a paper towel usually. In your specific case, it’s hard to know what it is and whether it’s a problem. Good luck!